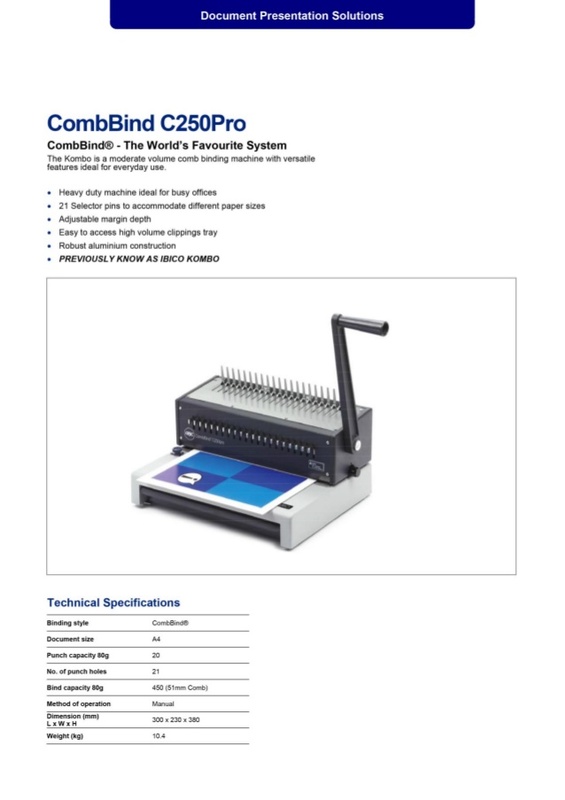 Ideal for everyday, high volume use, the CombBind C250Pro is a versatile, tough and durable comb binder. 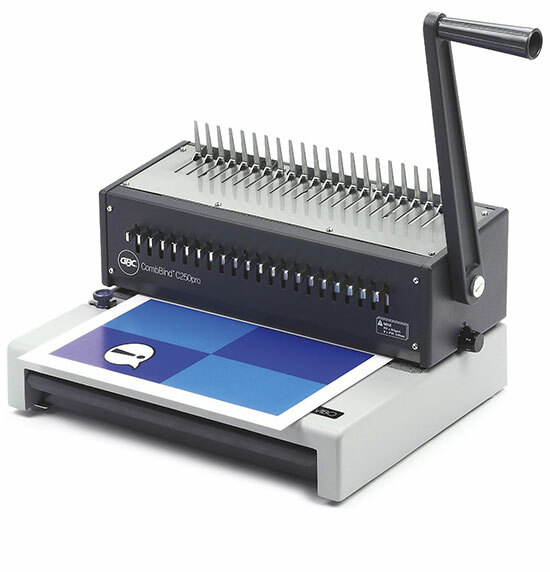 Easy to use and with a large capacity clippings tray, it can punch up to 20 80gsm sheets and bind up to 450 sheets. Selector pins allow you to adjust for any paper size up to A4 and you can also alter the margin depth. Binds up to 450 sheets (80gsm) – Using a 51mm comb. 21 Selector pins to accommodate different paper sizes. Easy to access high volume clippings tray.